Did you know that in Pre-Columbian times, Key West was inhabited by the Calusa people? They had a steady reign of the island until the first European visit in 1521 when Juan Ponce de Leon, Spanish explorer and conquistador, led an expedition to what we now call Florida. After Ponce de Leon’s visit, Florida increasingly became more of a Spanish territory of fishing and salvaging; a small military garrison was even established there. 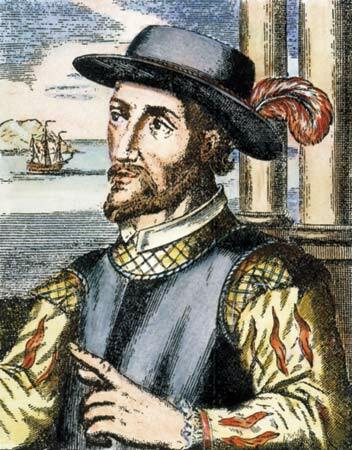 It is said that Ponce de Leon was looking for the Fountain of Youth in Florida! The Pirates of the Caribbean Fountain of Youth map! Like most historic cities in America, we have an Old Town. Our Old Town is the original Key West settlement on the western part of our island that makes up the Key West Historic District. It has the perfect tourist destinations like Mallory Square, the famous and infamous Duval Street, the lovely Truman Annex, and the fearsome Fort Zachary Taylor. Most of the buildings are comprised of classic bungalow and guest mansion style of architecture. The USS Maine was an American battleship that was the United States Navy’s second commissioned battleship and the first to be named after the state of Maine. In 1898, the USS Maine sailed from Key West to Havana where it blew up. Many of the crewman of the USS Maine are buried in Key West, while the investigation of their deaths occurred at the Customs House of Key West. 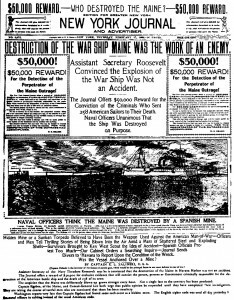 About two months after its sinking, people started crying “Remember the Maine, to hell with Spain!” So the destruction of the Maine didn’t exactly immediately send America into a state of war with Spain, but rather, it made peace with Spain impossible. A New York newspaper describing the destruction of the Maine. You are currently browsing the Old Town Trolley Tours Blog blog archives for February, 2014.